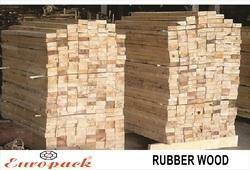 With the aid of our adept professionals, we are able to offer a wide collection of Rubber Wood. We offer duly heat treated or chemically treated Rubber Wood, which is apt to be used in the packing & furniture industry. Our rubber wood is not at all expensive but it is a product of quality and it works efficiently in all its applications.